Greetings from my summer kitchen in Chautauqua, New York! Thanks, always, to Celia at Fig Jam and Lime Cordial for hosting this international forum. My summer headquarters, about 10 miles south of Lake Erie, is located in prime Concord grape growing territory. The grapes are not yet ripe, but blueberries grow in profusion. My daughter went blueberry picking with her cousin and came back with several pints. I immediately turned some into a chilled soup with a recipe from the New England Soup Factory Cookbook (full disclosure: I’m the book’s co-author). It made quite a conversation piece at the pot luck dinner where I brought it. I picked a few raspberries from the bushes growing wild across the road. 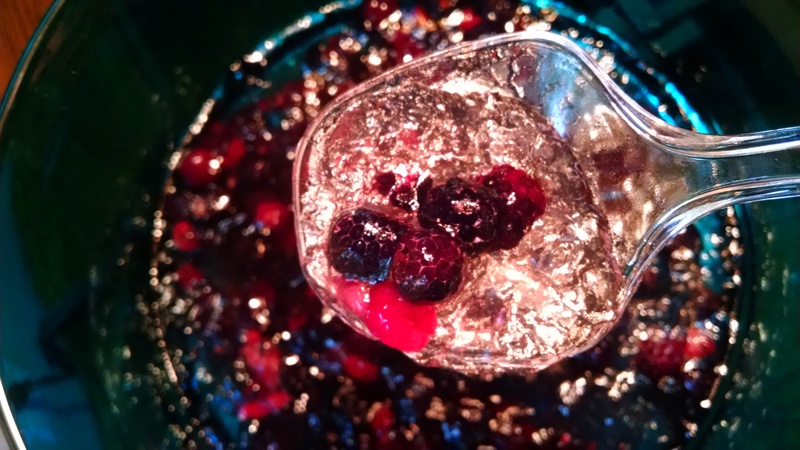 Though I was excited to try them in a recipe for an updated Jell-O salad made with gelatin, Prosecco and club soda, the concoction never jelled properly. My daughter said it tasted like “a bad Jell-O shot,” but nothing could ruin the fresh berry flavor. When I have time, I comb the local libraries and flea markets for cookbooks. Here is the latest yield. With all the fields and farm stands nearby, it’s hard not to eat healthy food at this time of year (except for ice cream). And I’m enjoying all the colors that I missed back in the ice-bound New England winter. Let the bounty continue! Happy August, everyone. This entry was posted in cookbooks, Food, memoir and tagged blueberry, Chautauqua, gelatin, Jell-O, New England Soup Factory Cookbook, New York, raspberry, soup. Bookmark the permalink. Amazing colours, the chilled blueberry soup is just gorgeous. Purple soup… who knew! The hues of the Jello salad are jewel-like. There’s nothing like fresh berries. Clara, your blueberry soup photo popped up on my screen and my reaction was, “Oh! Look at that COLOR!” It’s sure to have tasted as beautiful as it looks and I think that’s a neat dish to bring to a pot luck. 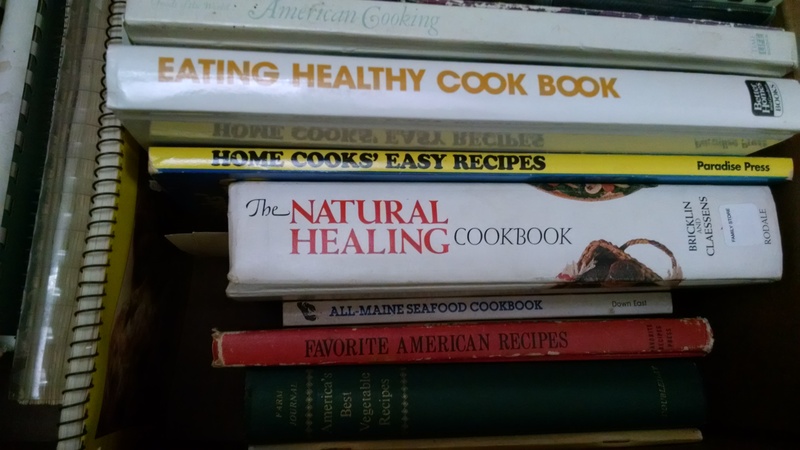 Nice cookbook collection, too! Thanks for your comments. We served the soup for dessert in clear cups to give the full effect of the color. 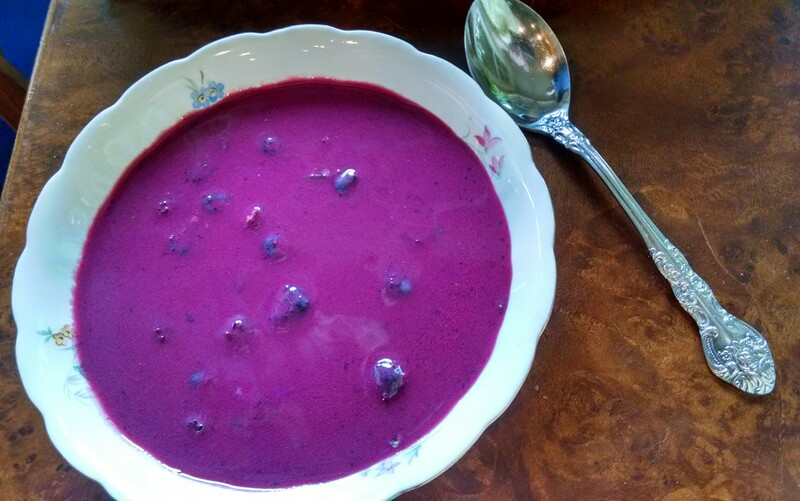 The blueberry soup looks beautiful and sounds quite delicious. I miss red raspberries, they do t seem to grow here. Yours look delicious and you’re right, even not gelled I’m sure the berry flavor was wonderful. 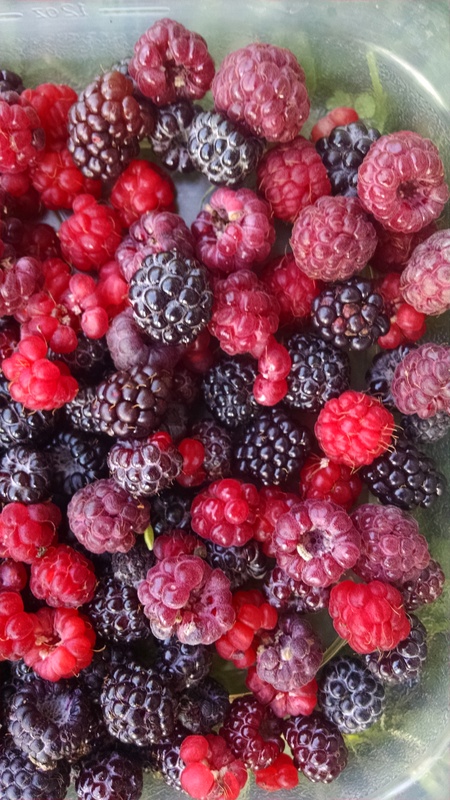 Hope you find raspberries at the market even though they don’t grow where you are. Thanks for stopping by. that soup looks amazing. what a great colour! i have made cherry soup before, and it too was a gorgeous colour, and real talking point. berries are fabulous aren’t they?